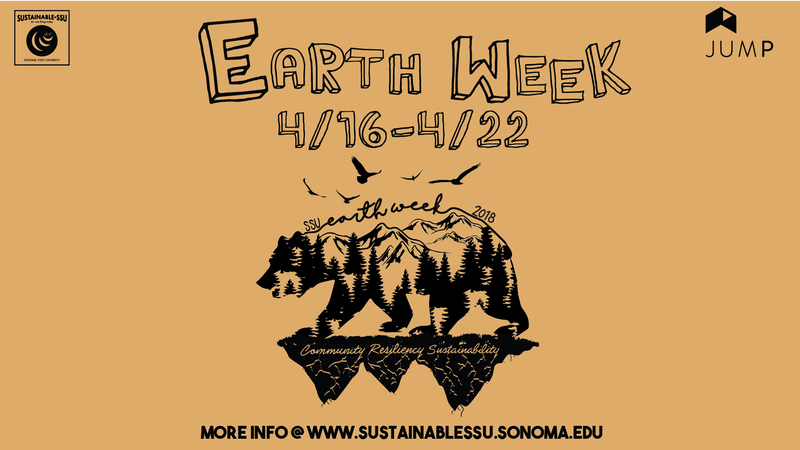 Sonoma State University is hosting a jam-packed schedule of events throughout the week of April 16 for a special Earth Day celebration that commend not only Earth friendly lessons but encourage diversity and community. This year’s events range from lectures, film showings to even cooking and hiking. Earth Week themed lectures from a wide variety of topics will also be present during the week including a lecture on our road to an environmentally friendly path of recovery from the fall’s Sonoma County fires on April 18 on 9 a.m. These lectures are free and open to the public. The week officially kicks off Monday, April 16 with an Earth Day Fair that brings environmental activities with prizes and local community sustainability partners to campus. Petaluma Bounty Farm, Sonoma County Spare the Air, and Sonoma-Marin Area Rail Transit (SMART) are just three of the groups scheduled to participate.